Makhteshim Country: A Future UNESCO Geopark? 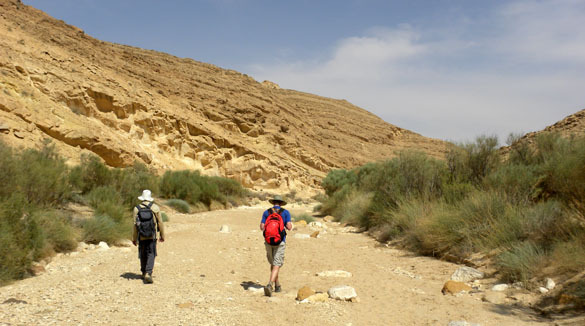 Yoav Avni and Will Cary hiking down the wadi that exits Makhtesh Gadol. In the background is the wall of the makhtesh. 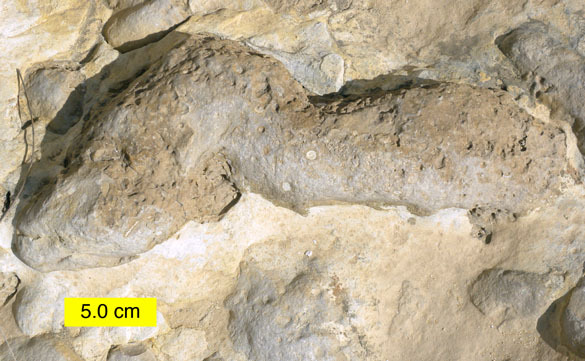 It is made of diverse Cretaceous units. MITZPE RAMON–Our colleague Yoav Avni of the Geological Survey of Israel is part of a movement to declare the Negev Desert around the three major makhteshim a Geopark cataloged by the United Nations Educational, Scientific and Cultural Organization (UNESCO). A Geopark is defined by UNESCO as “A territory encompassing one or more sites of scientific importance, not only for geological reasons but also by virtue of its archaeological, ecological or cultural value.” Yoav’s dream is that scientists and the general public from around the world will someday visit the makhteshim to tour the unique geological features with an infrastructure in place much like that of a US National Park. The ecological and cultural heritage of this region will be as important as the geology. I played a small role in this process when I wrote a letter to the Israeli government in 2005 (at Yoav’s request) explaining the geological value of Makhtesh Gadol and opposing further expansion of a sand quarry in the northern part of the makhtesh. This added a seed of international scientific interest to the discussion that continues to grow. Now when we describe geological phenomena and fossils in the makhteshim, we are thinking about the ways we can explain these things to the public through nature trails, museum exhibits and popular press articles. It is exciting to be on the ground floor of such an endeavor. There is plenty of opposition to this Geopark, of course. On one side are industries and government officials who want to squeeze every bit of economic usefulness from the land; on the other are extreme preservationists who wish to close off large tracts to all human entry. Somehow Yoav and his colleagues will have to find a way to make the future Geopark economically viable and yet with all the protections necessary to preserve its natural assets. 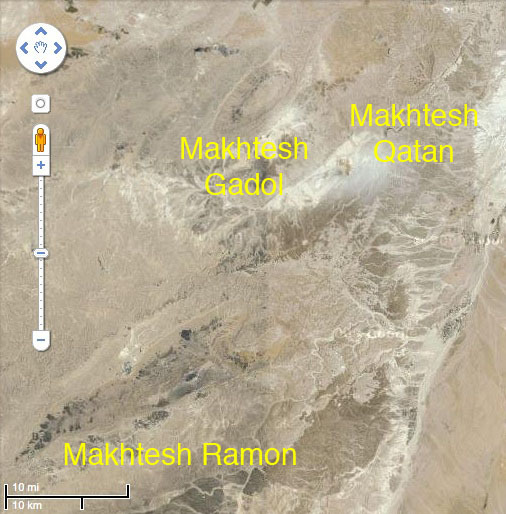 This will be a slow process but maybe I will someday be posting blogs from the Makhteshim Country Geopark. 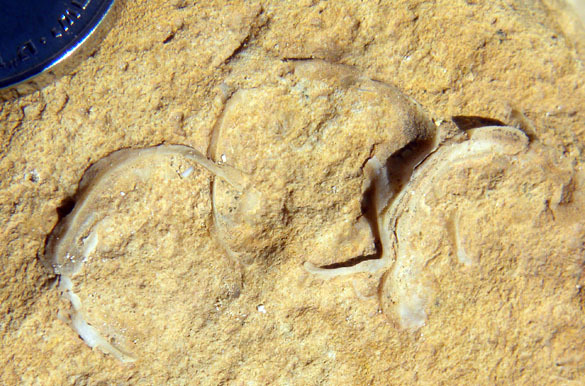 MITZPE RAMON, ISRAEL–Sclerobionts are organisms that live on or in a hard substrate. Paul Taylor and I coined the term in 2002, so I use it as often as I can. Maybe someday more than six people will know what it means. 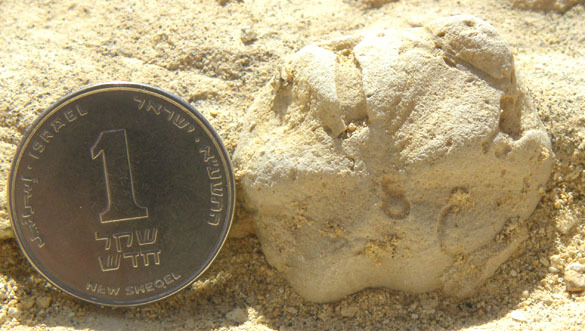 A project for this year’s Israel field expedition is to revisit a locality where an extensive bed of hiatus concretions, most of them bored or encrusted by sclerobionts, is found between the Zihor and Menuha formations in the Upper Cretaceous. (This layer is pictured above.) 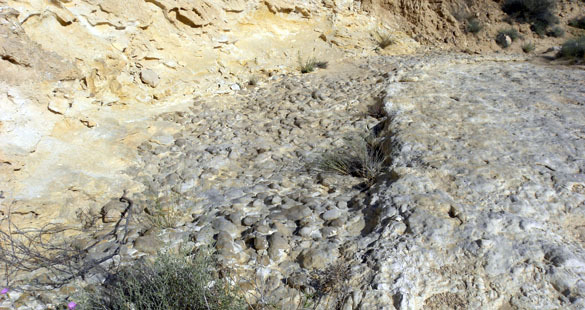 Andrew Retzler and Micah Risacher will remember the Wadi Aqrav (Scorpion Wash) sections well from their Independent Study work last year. These hiatus concretions were formed when deep erosion produced a disconformity and a lag of cobbles. We already had a GSA presentation on this topic; now we need more information for a future paper. Will and I hiked through Wadi Aqrav today to collect more information about these Cretaceous cobbles. We found all our previous study sections and a few more outcrops of the Zihor/Menuha formation boundary. 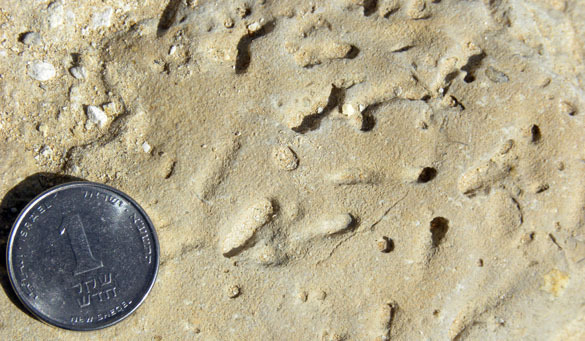 Most important, we were able to collect more sclerobionts and other associated fossils. One of the bored and encrusted Zihor/Menuha cobbles showing its apparent origin as a burrow-fill. Eroded borings in the surface of one cobble. These are holes in the rock, but if you stare at them long enough they will suddenly look like bumps! Three oysters on a cobble surface. Two grew together at the same time and one came later. Can you tell which? Will found this nice irregular echinoid in the matrix between the cobbles. He also found a couple of shark teeth near it. A one-shekel coin, by the way, is 1.7 centimeters in diameter. Landscape view of the Wadi Aqrav region. Beautiful desert in the Negev Highlands north of Makhtesh Ramon. MITZPE RAMON, ISRAEL–It wouldn’t be the Middle East without a camel encounter or two. One year a camel literally ate my lunch when I left it in the shade of the car during a long morning’s work. (He even ate the plastic around the sandwiches.) The local Bedouin care for small camel herds that range throughout the Negev. If you’re near a wadi with a source of vegetation and water, camels are nearby. 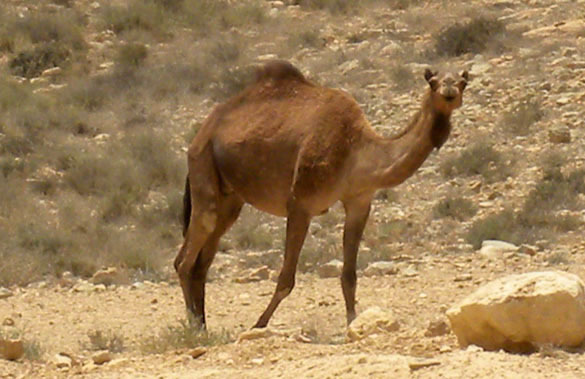 The version here is the one-humped variety: the dromedary (Camelus dromedarius). Will and I were walking up a long dirt road around noon when we met the large male camel pictured above. He stared us down, standing almost completely still. We immediately saw why he was so intense: a group of females and young camels was behind it and we were about to walk between him and them. Of course, we had no interest in dying under the hooves of a camel (or whatever they do when they attack), so we moved carefully off the road. After a few minutes he slowly strolled down a wadi and the rest of the group caught up with him, a female at the end keeping her eyes on us until they were out of sight. Females and young following the male down a wadi.